!!! Don't Miss the Rally Highlights Included After Each Rally Listing By Date!!! Birds at the Beach is mid April, so if anyone wants to head over early that's fine. As long as they're aware it's just colder that early here! Back by popular demand is the Muscoda WI “Fungus Fest”. Muscoda is in the southwest corner of the state one hour west of Madison and an hour east of the Mississippi River; on the banks of the beautiful Wisconsin River. Come join us for the one weekend of the year that the town is alive! Ok, it’s always alive but normally there is not too much going on. This could very well be the best small-town fest in the state. Things going on this weekend: Indian Effigy Mound Tours, Horse shoe tournament, Village wide yard sales, Craft fair, Winery tours, Buying and selling of Morels, Chili Cook Off, Fireman's Steak Feed late Saturday afternoon, Fireworks Saturday night, Saturday night band on patio at downtown bar, Pancake Breakfast Sunday morning, Parade, UW Band members, and much more. We will be camping at the Muscoda Sportsmen Club, 18849 Sportsmen Drive, Muscoda WI 53573. Each site has 30amp and water. A dump station is located a few blocks away. Arrival date is Thursday May 16th, departure Monday May 20th. 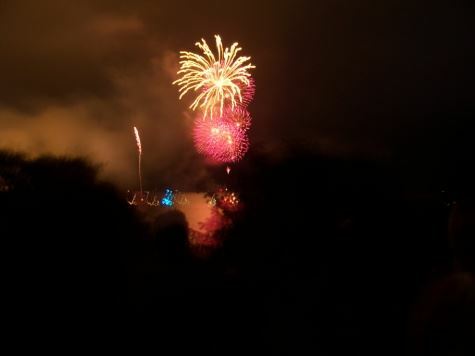 Festival Day, stuff to do in town, Firemen’s Steak Feed late afternoon, Fireworks at dusk, Band at Sportsmen’s Bar. Pancake Breakfast @ St Johns, Festival continues, Parade (yes you can drive your bus in the parade) UW band members perform, Sunday Supper at the best Chinese Buffet I’ve found just a few miles away. Goodbyes and farewells, Fest weekend officially end but feel free to stay in town at the city campground. 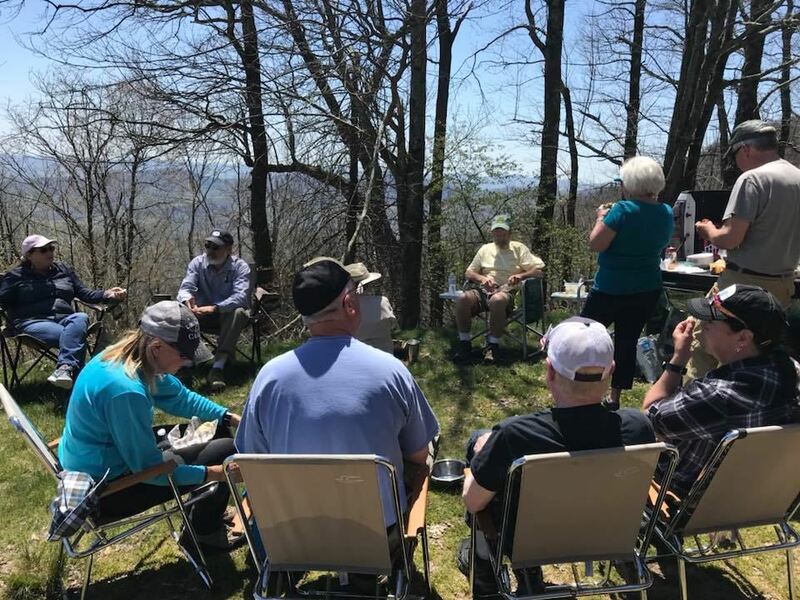 Although not billed as an official 2018 rally, Dan and Liz Harris took in the Morel Mushroom Fest in 2018. They have the honor of being the first ever Bluebird in the history of the parade. Rally Fee includes 4 nights camping @$120.00 per coach. Each site has 30amp and water. - Located just outside Williams, AZ up in the cool country, perfect time of year. - Bring your bike! Great place to ride. - Make reservations RIGHT NOW!! These go fast! - We want to make sure we’re all in Loop-A & B if possible. If you cannot get into A or B loops then look for C, D, & E. You may play with the dates to see if the spot is available. Also, make SURE you check the site length! Also, note there is a list of sites and a map on the website for clarity. Most come to the rally Friday and head out Tuesday morning to avoid traffic, but come when you can, and stay as long as you like! Kaibab Lake Campground, 2 miles north of Williams AZ, one of the prettiest campgrounds in the state, with nice, big camp spaces (no hookups), some pull-thru, pine trees, great fishing lake, Ramada, close to town, etc. And the Memorial Day Weekend is the optimum time of year there. Never hot, rarely too cool. And centrally located/interstate access/paved roads to campground. Beautiful! Last year we had six coaches, 3 potlucks, fun bonfires even though fire restrictions were in place, since we had a propane fire ring, went to farmer’s markets in Williams and Flagstaff, hiked 2 miles around the lake and saw wildlife including eagle’s nest and eaglets, Saturday breakfast in town in which six biked to and the rest drove, and played “High-Density Badminton”! This year needs it’s activities/attendees planned out. There’s so much to do there, and in the surrounding areas. For starters there’s a world-class tourist destination just an hour’s drive away. We could plan a rim hike or attend one of the guided talks or tour the Kolb Brothers Photography Studio, etc. Then there’s William’s-centric attractions like Bearizona, the historic buildings self walking tour, and new stuff like The Big Toy Playground, the wine tasting bar, and the Zip Line. Just watching the steam train depart is fun, which they tend to bring out for Memorial Day, and the train museum at the depot is quite nice. Visit Elk Ridge Ski area, dine at their restaurant or see if they’re running their lift for summer scenic views. There’s also petroglyphs there. Planes of Fame Air Museum is right in town. Deer Farm. Grand Canyon Caverns is just 66 miles away. And Lava River Cave is 1hr, 12 minutes. Year before last, a few of us went on the posted nature hike, right in the campground, and the Ranger was very knowledgeable and interesting. We walked over the dam toward the Aspen tree-laden meadow, and he told us all about the flora, fauna, and history of the area. He even had a bag full of taxidermy feet of various animals to identify tracking. 76FC35SB Wanderlodge - "Gutted/Conversion -sold-"
and the phone number is (260) 768-7770. Ask for Uma or Sam and tell them you are with the Bluebird Group. You can also drop my name if need be. PLEASE MAKE YOUR RESERVATIONS BY PHONE AS THERE ARE ADVANTAGES FOR BLUEBIRDS MAKING PHONE RESERVATIONS. ON-LINE RESERVATIONS HAVE SOME STRINGS ATTACHED. DON’T MAKE RESERVATIONS ON LINE. This is an older campground with mostly 30 amp sites, but a few 50 Amp pull through sites are available. Hopefully we have planned it early enough that we won’t need much air conditioning. We really like this campground as it is quiet and has an ice cream store right on the site. They really like us too. What do we do at this rally you ask? 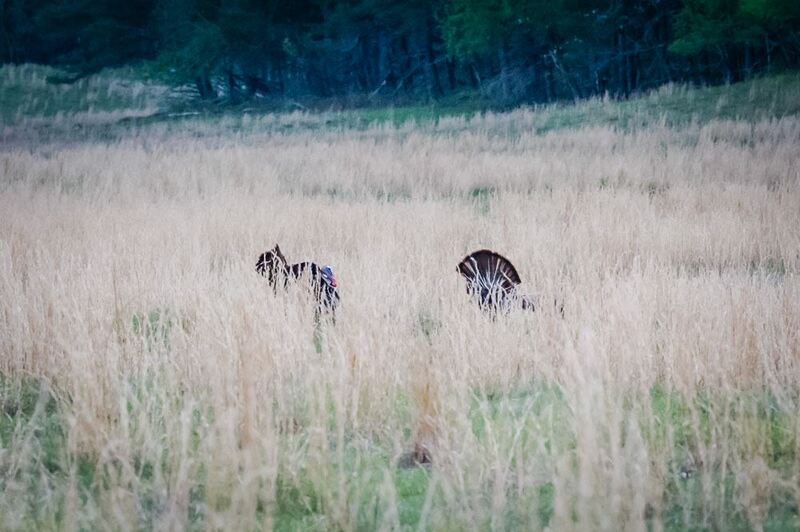 We plan nothing except one event that will likely involve a carry in dinner. Once again there will be a night at Rowland and Joanne’s Arcade, and maybe a dinner or 2 out. We don’t have awards, and we don’t plan tech sessions. We plan nothing because this is the Rally where the Boys go shopping. You read it right, there are several, many, a bunch of surplus stores within striking distance, and we come back with car fulls of RV trinkets. Some spend thousands, others spend some. The girls, if they trust us to be alone with credit cards, go to town with their own credit cards and shop in all of the quaint little Amish shops. Shipshewana also has a huge flea market every week on Tuesday and Wednesday. You can google that to get the details if you are interested. You may have to come early to go there, but don’t spend all of your money there because there are other, better things to buy. This location offers other services. National RV Refrigeration. Many ‘Bird owners can’t say enough about Leon. Each year Leon works on several Bluebirds. He’s the go to guy for refrigerator problems as several Woggers can attest. His price is more than fair, he does a really good job, and he’s right next door to the campground. He does air conditioners too. His website is http://www.fixyourfridge.com. If you have a need here, call Leon for an appointment and to make sure he has enough time to get what you need. Stuarts Service in Elkhart is an authorized HWH repair facility. The website is http://www.rvleveling.com. You really need to call ahead here for an appointment as it seems they have limited hours. The phone number is on the website. Ramco Mirrors is close by in Elkhart, and bird mirrors have been rebuilt here. There are also lots of other RV related manufacturers around the Elkhart area and this is only a half hour away. Lambright’s for furniture is a popular spot, and Bradd and Hall is also nearby. Check the display ad section of your FMCA magazine for information. It is like a rolling rally and you can join us in all three destinations or pick any of them. 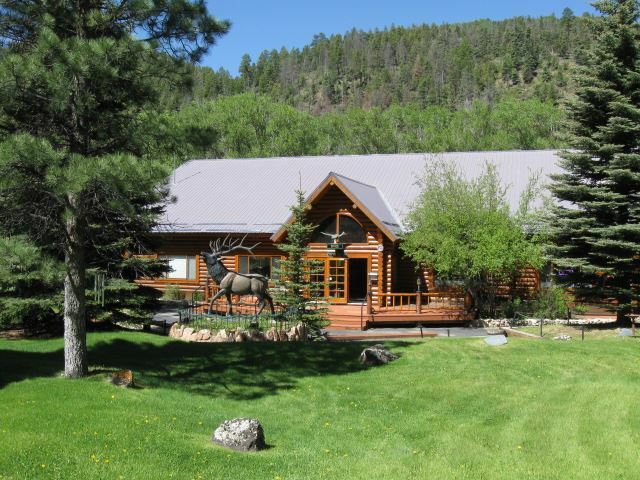 27847 Highway 550 North, Durango, Colo. 81301. While in Durango, we will ride the Durango/Silverton Narrow Gauge Train. I will wait to see who wants to ride the train and buy the tickets as a group so we will all be on the same car. If you plan on the train, please let me know as soon as you decide. There are two choices for the train, the Standard fare which is $89.00 per person (adult) and $55.00 for child) or a Narration tour with costumed guide. The narration tour is $119.00 per adult and $79.00 per child. Let me know your choice and majority will rule. We plan to go to Mesa Verde National l Park. Mesa Verde, Spanish for green table, offers a spectacular look into the lives of the Ancestral Pueblo people who made it their home for over 700 years, from A.D. 600 to A.D. 1300. Today, Mesa Verde National Park protects over 4,000 known archeological sites, including 600 cliff dwellings. 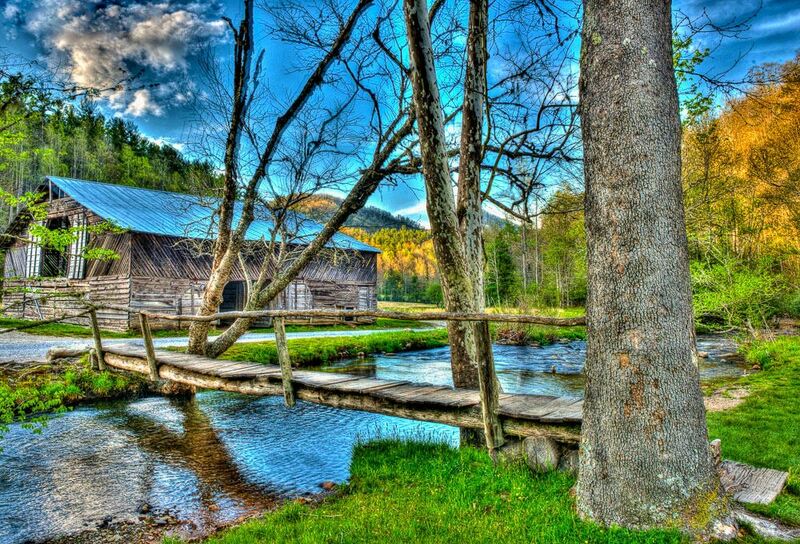 These sites are some of the most notable and best preserved in the United States. The stunning landscape of Southwest Colorado, near Four Corners, is the backdrop as you explore Mesa Verde National Park. Four Corners Monument. Ever want to be in two places at once? Try being in four places at once! Four Corners Monument is the only place in the United States where four states intersect: Arizona, New Mexico, Utah and Colorado. While in Williams, we can ride yet another train! The train leaves at 9:30 am and will take us directly to the Historic District of Grand Canyon Village where we will have 4 hours to take in the sights. The edge of the Grand Canyon is right there! This is an 8 hour excursion. Cost is $111. per person. Again, let me know if you want to go on the ride with us and I will get group reservations. If you do not want to ride the train, the Grand Canyon is only 55 miles away by car. If you don't want to ride the train, stop by the Grandstand next to the depot for the 9:00 am performance of the Wild West Shootout. Bearizona is a Wildlife Park featuring a drive through area as well as a walk through area. View animals in natural habitats during your drive. Check out more animals on exhibit in the walk through. There are several animal shows throughout the day as well as a complimentary bus tour through the park at several times throughout the day. Amidst the Ponderosa pine forests of northern Arizona — and just 60 miles from the Grand Canyon — is the Bearizona Wildlife Park, a natural animal sanctuary with a large variety of North American wildlife. While in Virgin, Utah, we will drive through Zion National Park and Bryce Canyon. Don't forget to see the Hoodoos! Zion National Park has a length and height limit so we have to go in cars. 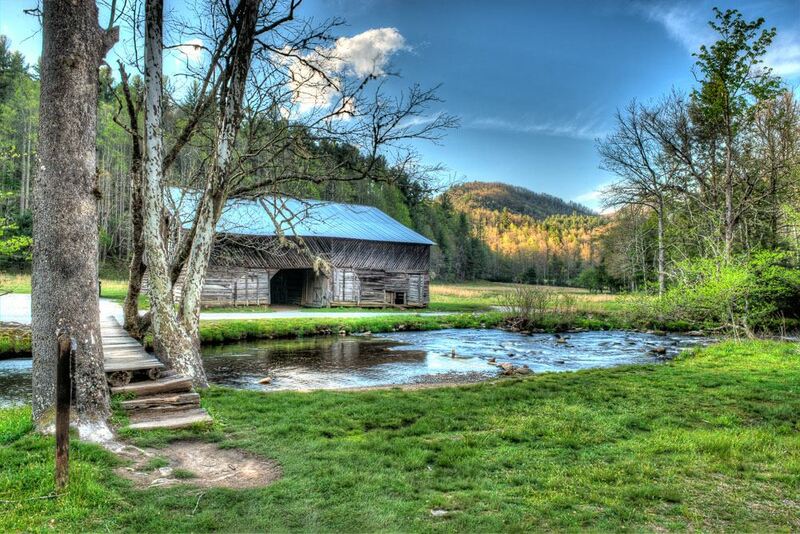 The scenic byway runs for 54 miles.. There is a visitor center with very interesting exhibits and short movies. Due to the large amount of visitors to Zion, a free shuttle bus system has been put in place to deal with traffic in the main canyon and in the neighboring tourist town of Springdale. The shuttle starts at the Zion Canyon Visitor Center. Enjoy Bryce Canyon's red-orange-pink rock formations and sandstone cliffs. Watch the stars dance at night! The drive through Bryce Canyon takes about 3 hours to drive to the 12 viewpoints along the 38 mile scenic drive. We will have to take cars since there is a 27 foot length limit. Visitor Center and Red Cliffs Desert Reserve. When you step over one of the Reserve’s distinctive “step-over” gates, you are entering a special place, a place that is a privilege to visit. Not just another mountain bike trail, not just another horseback ride. You are entering a 62,000-acre scenic wildlife reserve set aside to protect the Mojave Desert tortoise and other rare plants and animals. At the merging of three great ecosystems, the Mojave Desert, the Great Basin, and the Colorado Plateau, the Reserve is biologically rich with a unique array of animals andplants. The Reserve contains the most northern populations of the desert tortoise, Gila monster, sidewinder rattlesnake, and chuckwalla – reptiles typically associated with hotter and more southerly deserts, like the Mojave. A significant portion of the shrubs in this area, such as blackbrush, are more commonly found in the cooler Great Basin Desert. The conditions in the region are such that several endemic species, those which occur no where else in the world, do occur here. The movie, “Butch Cassidy and the Sundance Kid” was partially filmed in the beautiful canyons of Zion National park in Utah, and the train robberies were filmed on the Durango-Silverton Narrow Gauge Railway. The reckless leap into a river canyon was filmed at Tribble Bridge on the Animas River near Durango. Durango is also the home of the Historic Strater Hotel built in 1887. The hotel is home to the world’s largest collection of American Victorian Walnut antiques and the Louis L’Amour room. Louis L’Amour wrote many of his famous westerns while staying at the hotel. The Rocky Mountain Chocolate factory can be found in downtown Durango. You can also tour the Honeyville Farm and the Grand Motorcar and Piano Collection and the Animas Museum. We are hoping you can join us for this gathering! You can pick any or all locations. Everything will be A La Carte! Daytime temperatures in Arizona and Utah range in the 90's during the day with night time temperatures in the high 50's so remember to dress accordingly. $15.00 Per Night Gets You Limited Power, Water And Dump Station. Send an email to Ray and Leslie Thomas at duckmanr@att.net to sign up. Kathie and I are going to try again! The consensus is to expand from July 2nd thru the 8th. 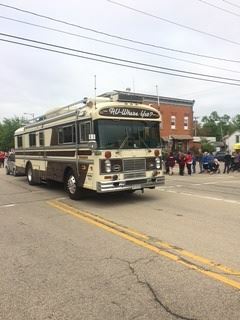 We all had a lot of fun doing unique things like decorating our SP and packing 14 people in for the Odell 4th of July Parade. In this PARADE wrapped candy is thrown for the kids to pick up. The parade route is close to the fairgrounds.. There is also the bigger 4th celebration in Hood River with a big parade. They have flyovers with antique airplanes from the WAAAM Museum. We will again do tours and more. There are 30 and 50 amp hookups with about 10-50 amp in the area we are in. First come, first served with the 50's. There are over 100 30 amp services with great water hookups also. Many of the 30 amp services can be piggy backed. We will again have the floral building for get together's (lots of fans if hot) And yes, there is a dump site on the grounds easy to get to. On The weekend there will be events in the bigger buildings that can be noisy until late. Be aware of that THERE ARE LOTS OF wineries, Craft Breweries and the new craze Hard Cider Breweries around close. We will also have a caravan up to Timberline Lodge for lunch ( where "The Shining " was filmed.) It is a beautiful drive up Highway 35 to the lodge. A new idea I will try to put together is a bus course to test drivers. When I drove school bus we used the grounds for backing, parking and actual testing. It could be fun and maybe the "spouse" could try... I will get cones for courses. Maybe some prizes too! Oh, I forgot to mention. NO SALES TAX IN OREGON! $25.00 a night with 30 and 50 amp. Hookups. Great water at every site. Dumpsite on the grounds. There is room for lots of rigs and no pre-registration is needed. Kathy and I will collect and pay the fees at the end. There are bathrooms and showers that will be available too. HOWEVER, please let us know if you are coming or if you can't make it. That way we know how much food to cook and what size van or bus we will need for a tour . Here are some of the websites for the fairgrounds and area attractions. This is one of the places we will caravan to. For lunch. This beautiful lodge was featured in the movie "The Shining"
is close to the fairgrounds on Hwy 35 and a favorite of the locals. This place has won many awards for their food and beer. A $50 non-refundable deposit due prior to April 1st 2019 or they will not guarantee you a site for the rally week. You need to print off the registration sheet from their web-site (http://www.shorehills.com/reservationform.html) and list length of bus, list Vintage Birds & call for pet information if applicable. They don’t allow any aggressive breeds. No credit cards. You must sent check along with registration form. Sunday Night, July 28th - After checking in and getting set up, come to the clubhouse (at the campground) for happy hour and light snacks around 5:30 PM. For dinner, we’ll go to a local fish-fry or brewery in town around 7. Dinner will be on your own. Monday- Coffee & snacks at the clubhouse starting around 7:30-ish. At 9:30, we will depart for the Coastal Maine Botanical Gardens. A guided tour will begin around 11 AM. We will get lunch at the gardens. You will have a choice of either eating at the café or simply grabbing a sandwich and enjoying a meal outdoors. We will leave the gardens around 2 and head back to the campground for a nap or games. A mixed potluck dinner will be in the clubhouse at 6:30 PM. Bring a side to share. Entrée will be provided. 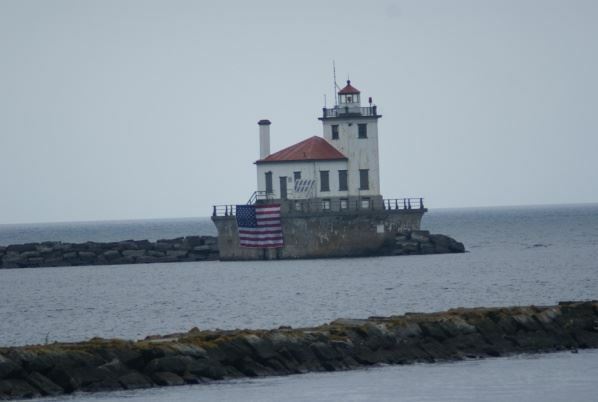 Tuesday- After morning snacks at the clubhouse, we will drive about 45 minutes to the Maine Prison Store, Marshall Point Lighthouse and have lunch at Tenant Harbor. In the afternoon, we will visit the Owl’s Head Transportation museum & Owl’s Head Lighthouse. Dinner will be on your own at a restaurant in nearby Rockland, ME at 6 PM and then we will return to the campground. Wednesday- Coffee and light snacks at the clubhouse starting around 7:30. 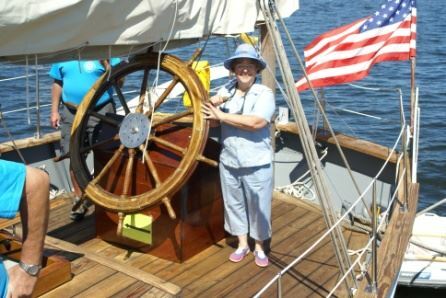 We’ll leave for the “MMM” the Maine Maritime Museum around 9 AM and carpool to what Fodor’s Travel has called “One of New England’s 10 Unmissable Historical Sites”. After touring the museum, our group will travel to Bath and have lunch at one of the many restaurant choices in town. We will return to the campground in the afternoon and then head into Boothbay harbor for the evening. Dinner will be on your own. 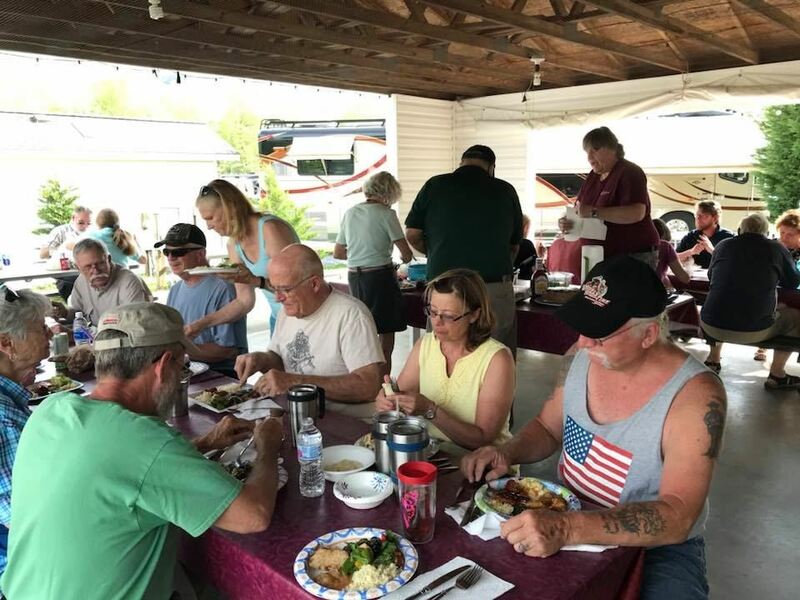 Thursday- Open day, no scheduled activities aside from an evening BBQ around 6:30 at the campground featuring smoked Beef Brisket and a Texas-style BBQ dinner (Since you’ll all be sick of seafood by now) Water and unsweetened Iced Tea will be provided as part of the meal. Bring a dessert to share. Friday – After morning coffee and snacks, we will travel to Camden Hills State Park for a trip up Mount Battie. This is one of the best overlooks on the Maine coast and for a small fee, you can drive to the top of the hill. Others may opt to hike the mountain- especially after gorging on BBQ the night before. This is a great place for a light picnic lunch and we may end up getting sandwiches for the group- so toss your canvas or folding chairs in the trunk before we leave the campground. We will head back down into Camden for the afternoon and many of the ladies will choose to shop at this little shopping mecca. There are a few other museums in the area that some may also choose to visit. Dinner will be on your own in Camden, Rockport or one of the other small towns on the way back to the campground. Saturday- Coffee, refreshments in the morning. 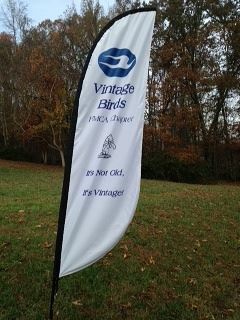 The Annual Business Meeting of the Vintage Birds Chapter will start around 10 AM at the clubhouse and wrap up around 12 noon. In the afternoon, we will go on a whale watching cruise out of Boothbay Harbor. 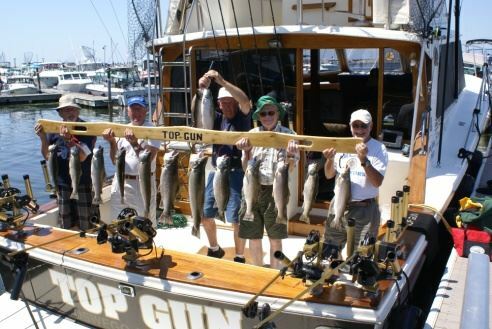 Those who are not sea-fearing can easily spend all day in downtown Boothbay Harbor. We’ll come back from the cruise and meet up at one of the local “Lobster Pounds” for dinner. Sunday, August 4th- Check-out time is 11 AM. Sleep in… or join us for one last Coffee and snack session at the clubhouse. Although this is a Vintage Birds Rally, non-members can attend as chapter guests. 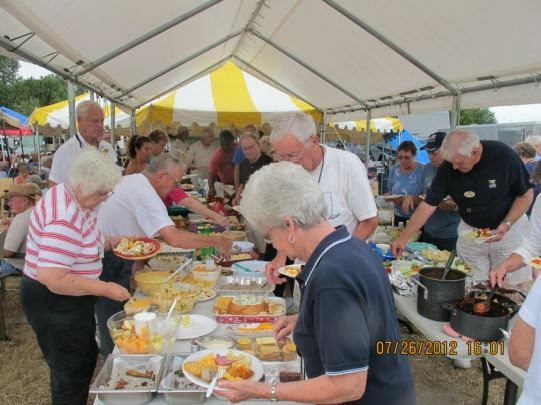 The $150 Rally Fee includes pavilion rental, daily coffee and morning snacks along with a Smoked BBQ dinner on Thursday night for up to two people and a picnic lunch on Friday at Camden Hills State Park. Camping is $55 per night and must be paid to the campground upon check-in. Whenever possible, the Chapter will attempt to refund any uncommitted rally fee due to a member’s cancellation. Chapter policy for a Vintage Birds Chapter Rally is to spend all rally fees for the specific rally and normally subsidize the member’s rally fees with Chapter funds to enhance rally activities. Therefore, in the case of a cancellation after the rally fee due date, most likely all of the member’s rally fee will have been committed as well as Chapter funds. Refund policies for all other rallies, Non Vintage Birds Chapter Rallies, are determined and communicated by the Rally Host. Be sure to tell them you're with the Bluebird Group and get the discount rate of $35 per night. Group rate applies from September 2nd through the 8th! Applications to TASTE OF NEW PALTZ must be complete in order to be accepted and guarantee a space at the event. Spaces are filled on a first-come, first-served basis. Once all spaces are filled, the New Paltz Regional Chamber of Commerce will create a wait-list from any additional applications received to fill any vacancies; wait-listed applicants will be accepted in the order in which they are recieved. Bring your unit to the Handicapped Gate (north side of the fairgrounds) to check in. It is your responsibility to leave the area as clean as you found it. You are responsible for the security of your site. No food may be sold or given away in the Vintage Motor Home Camping section. You may not solicit donations or funds for organizations or charities. Cost per unit 9/12/18- 9/15/19 is $40 per night, or $75 for two nights. For longer stays, cost per unit is $40 for the first night, $35 for each additional night. Two or more night stay includes two (2) complimentary admission wristbands for the event. Some of us arrive as early as Thursday / some just the weekend. Very informal rally, nothing is organized, we just play it by ear and enjoy a weekend with our 'Birds and fellow owners. Arrive at Road Runner campgrounds in Red River, NM on Wednesday October 2, 2019. Thursday, Friday and Saturday will have planned activities to be determined and finalized at later date, but most likely Thursday night will be open with Friday and Saturday nights being either a catered or pot luck dinner for one night each. It is Octoberfest weekend in Red River during our rally with days being open for attending whatever events are happening. It is my intention to plan on some sort of morning coffee/breakfasts on Thursday-Sunday morning, day of departure. Keeping in mind that the Albuquerque Balloon Fest will be October 5-13, 2019. It is a must see for anyone who has never seen 500, or more, very colorful hot air balloons ascend virtually simultaneously . It is the ideal time, if you have never been in a balloon, to make advance plans to take an early morning ride. I urge everyone to make very early plans for the Albuquerque as space for hookups is extremely limited. They will not work with a group for reserving spaces, so everyone is on their own after departing Red River. Reservations open for the 2019 Albuquerque Balloon Fest on October 23, 2018. 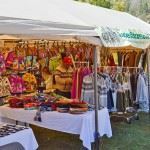 See: https://balloonfiesta.com/guest-guide/rv-information for additional 2019 information. Also, Santa Fe Skies RV Park has been suggested as an alternative RV park to stay at for the Albuquerque International Balloon Fest. See: www.santafeskiesrvpark.com for additional information. Stops from Red River to Albuquerque should include at least a day in Taos (50 miles) and a day in Santa Fe (50 more miles) . It is an additional 50 miles to Albuquerque and Balloon Fiesta Park. See https://redriver.org/things-to-do/day-trips for more information. There will be ample time during the rally for off road 4 wheel Jeep trips or Jeep rentals, hiking, biking, trout fishing in the river or several lakes around the area, on your own. However, everyone should keep in mind the altitude is 8,500 feet and nights are usually at or near freezing during that time of year. More firm details to follow in Spring, 2019 . The dates for the 2019 rally are October 16-20th. 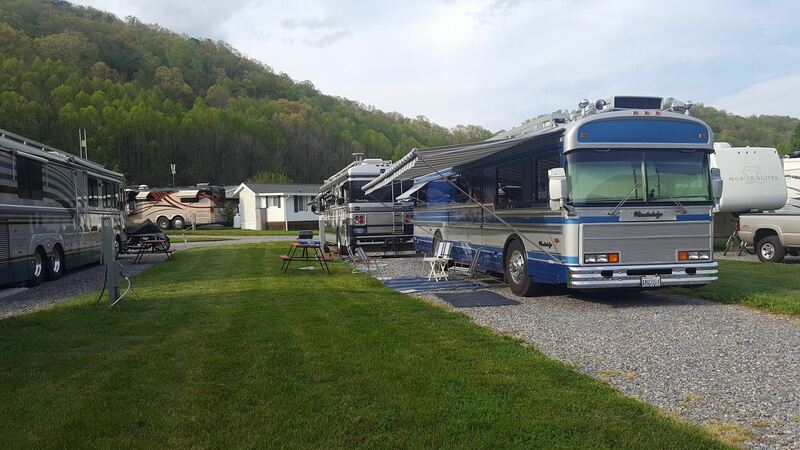 Pine Mountain RVC will honor the WOG rally camping rate of $45 per day before and after the official rally dates. PM also has yurts and there are hotels in the area for visitors without coaches. There are no rally fees or sign up other than your campsite fees. 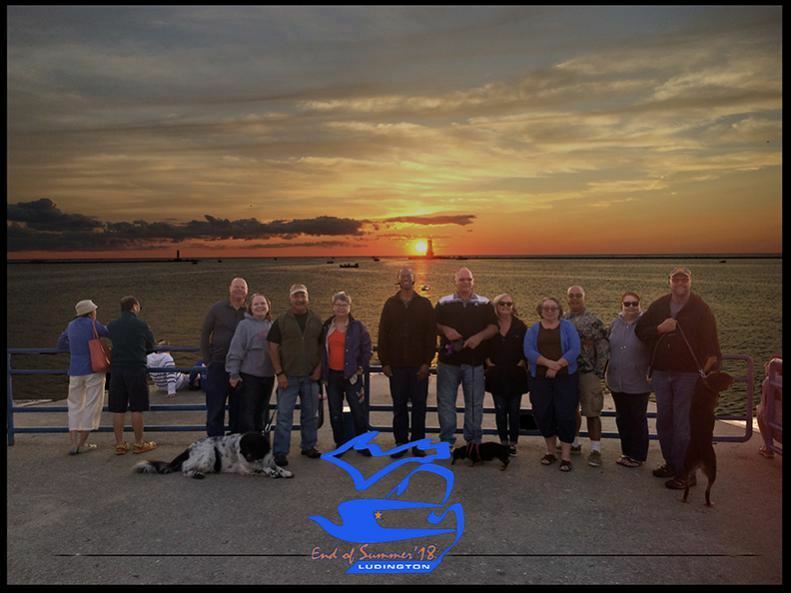 Reserve your spot now and all campground fees must be paid by August 2019. Mark your calendars and join us for this growing event. If you haven't made camping reservations you must CALL Pine Mountain Resort and tell them your with the WOG rally...trust me they will know! Go to: https://www.wanderlodgeownersgroup.com for more info. Visit to Polk County Florida!! We will visit BOK Tower Gardens. While there we will see a very short movie as an introduction. A short walk through the gardens to the Singing Tower. A shuttle is available as well. A box lunch will be provided. The Carillon concert can be heard at all locations and the gift shop has unique items. There will be a craft day for the ladies! Rally Cost for one RV and two people is $375 and includes 5 nights in campground, 3 dinners, 3 breakfasts, 1 lunch and entrance to the BOK Tower. If you would like to arrive early or stay late, call the RV park and mention the Vintage Birds Rally to get the rally rate of $36 per night. 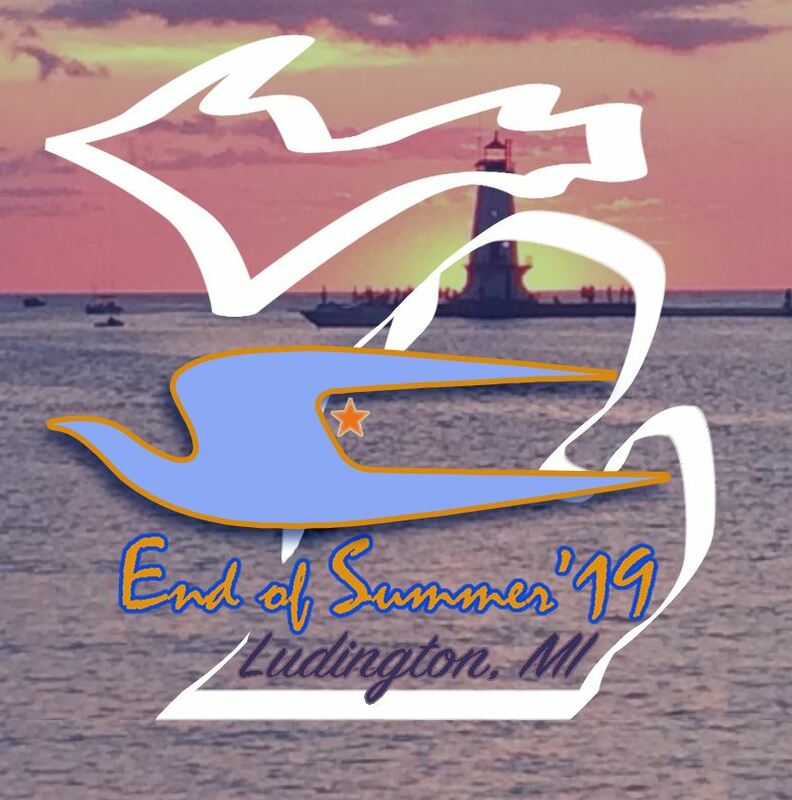 Deadline for registration is August 10th, 2019. The dates for 2020 are April 22th to 26th, come early and stay late. You can make your reservations now by calling Ocean Lakes, 877-510-1413. Early arrivals are Wednesday after 12:00 PM. Fish dinner @ 5:00PM. Bring your own tableware and beverage. 8:00 to 9:00 AM-Breakfast Buffet eggs, pancakes and sausage. time. Must depart by noon or pay the racetrack to stay. PLEASE, bring your own coffee cup in the morning. Groups that want to park together must arrive together no exceptions. 23 Feb 2019 Highlights of Bayou Blue Birds Love Birds on the River !! 23 Feb 2019 Bayou Blue Birds Invites You to Love Birds on the River !! 4 Feb 2018 HighLights of Love Birds on the River !! 4 Feb 2018 Love Birds on the River ! !